Pharmacy technician programs prepare students for entry-level employment in a variety of healthcare settings, including community pharmacies, hospitals, clinics, long-term care facilities, and home infusion pharmacies. 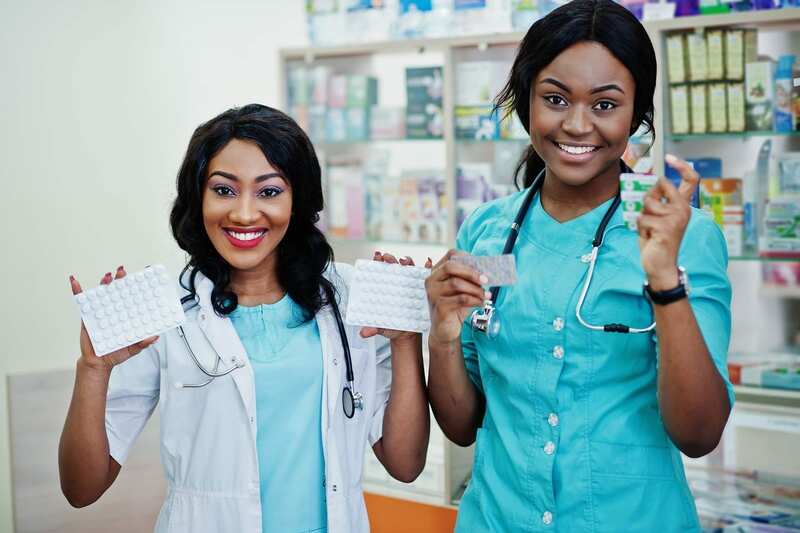 Pharmacy technicians are skilled practitioners who assist pharmacists with the preparation of medications for dispensing, compounding of medications, updating patient records, and managing the pharmacy’s inventory of medication. 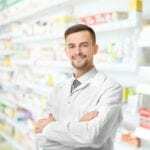 They are the first point of contact for customers in the pharmacy and typically receive prescriptions, verify the information, draw stock to fill the request, calculate dosages, pour, mix, count or weigh, medications, package and label the medication, and have the pharmacist verifies the package before it can be dispensed to the customer. Pharmacy Technicians must community effectively in oral and written forms, be patient, precise, and friendly. 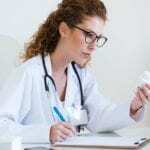 The job requires some foundational math to perform calculations and billing activities, professionalism to respect patients’ privacy, and attention to detail to spot mistakes that could be detrimental to the patient. Pharmacy technicians must be capable of working collaboratively with pharmacists, physicians, and members of the health care team. 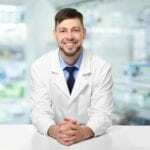 They must be willing to follow directives as they work directly under the care and supervision of a licensed pharmacist. and be flexible to work weekends, nights, and holidays – depending on the pharmacy setting. According to the Bureau of Labor Statistics, Pharmacy Technician job growth is expected to increase 12% from 2016 to 2026. While the median annual salary was $31,750 in 2017, pharmacy technicians who go the distance and obtain national certification will typically earn more than the average. Hutchinson Community College’s pharmacy technician program prepares students for employment in a variety of settings, including long-term care facilities, hospitals, and community pharmacies. The ASHP-accredited program requires the attendance of face-to-face labs each semester. The flexible schedule lets students complete some of the courses online. Students must complete 39 credit hours, in three semesters of full-time attendance, to obtain a Pharmacy Technician Certification at the conclusion of the program. The curriculum includes general education course to support the technical requirements. The theory will be delivered in an online classroom environment. Lab sessions will be completed on campus according to the following schedule: four days in the first semester for Community Pharmacy Technician, three days in the second semester for the Community Pharmacy Technician, and a two-day skills check before the Pharmacy Practicum begins in the third semester. The practicum requirements include supervised activities in various pharmacy settings. Students will be required to sit an exam for national certification during this phase of the program. Course topics include medical terminology, microcomputer literacy, basic algebra, community pharmacy, hospital pharmacy for technicians, hospital pharmacy for technicians lab, pharmacy calculations, pharmacy law, pharmacy technician science, pharmacology for pharmacy technicians, and pharmacy practicum. Tuition and books for one year cost approximately $3,640. The Pharmacy Technician Certificate program at Barton Community College requires completion of 29 credit hours. The course requirements are designed to be completed in two semesters, which also includes a pharmacy technician externship. The program will prepare students for employment in a retail, hospital, or other pharmacy setting. Students will also have the educational preparation and confidence to pass the Pharmacy Technician Certification Board (PTCB) or the Institute for the Certification of Pharmacy Technicians (ICPT) national certification exam for national certification as a Pharmacy Technician. The flexible program follows 100 percent online delivery of the academics followed by an internship at an approved pharmacy site. Course topics include orientation to pharmacy technician, medical terminology, pharmacology, pharmacy calculations, pharmacy operations, pharmacy technician topics, pharmacy technician internship, customer service, business English, and advanced pharmacy operations. Tuition costs $3,570. Books and supplies will cost approximately $1,420. NCK Tech’s pharmacy technician program includes the knowledge, skills, and training to prepare students to dispense medications under the direction of a licensed pharmacist. The program will emphasize pharmacy operation and management, pharmacy calculations, and pharmacy techniques. Upon completion of the one-year program, students will receive a Pharmacy Technician Certificate and be registered as a Pharmacy Technician with the Kansas State Board of Pharmacy. Graduates will be eligible to sit for the Pharmacy Technician Certification Exam to become a Certified Pharmacy Technician. The curriculum includes training in a simulation lab to enhance technical skills. Through a partnership with PioneerTX, pharmacy technician students will have the opportunity to gain hands-on experience in collecting medication histories, filling prescriptions, medication synchronization, medication safety, and medication therapy management. The program requires completion of 31 credit hours in two semesters plus a final semester for the general education requirements. Course topics include pharmacy technician science, pharmaceutical calculations, pharmacy operations, medical terminology, student success seminar, pharmacy technician internship, pharmacy technician certification, pharmacology, advanced pharmacy operations w/lab, and pharmacy technician seminar. General education requirements include computer applications and essential math or general psychology. At the conclusion of the theory and practical experiences, students will be able to perform the functions of a pharmacy technician in a distributive pharmacy, apply the federal, state, and local laws and regulations in practice, perform dosage calculations and compounding techniques and use effective and appropriate forms of written and oral communications. Tuition for the program costs $5,567 plus $1,657 for books and supplies.